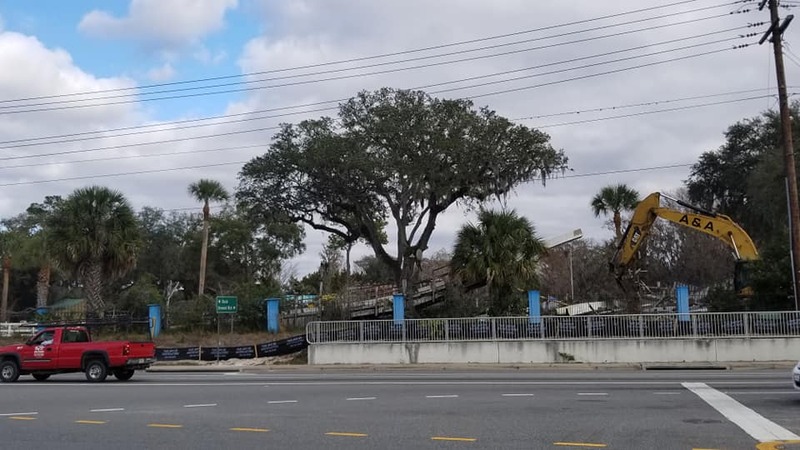 Ocala — On Monday, demolition company The Art of Destruction, located at 2080 NW 35th Street, Ocala, tore down a childhood favorite of many; the Silver Bullet water slide at Wild Waters. While many can hold on to the memory, the original slide is no longer a part of the landscape. As for the future use of the land, the Department of Environmental Protection told Ocala Post in an email that, for now, the focus will be on clearing the old infrastructure off the land for public safety reasons. Wild Waters opened 40 years ago. The park was closed down in September of 2016. What would you like to see built on the land? Do you have childhood memories at the water park? Feel free to share photos on Ocala Post’s Facebook page.